The report looks at that last 10 years of court opinions and records from these 16 “outlier counties” and analyzes all of the new death sentences handed down in these counties since 2010. Researchers found that these counties have been plagued by persistent problems of overzealous prosecutors, ineffective defense lawyers, and racial bias. These problems have lead to wrongful convictions in many of the counties and to excessively harsh punishment of people with significant impairments. Fifty-six percent of cases involved defendants with significant mental impairments or other forms of mitigation. Approximately one out of every six cases involved a defendant who was under the age of 21 at the time of the offense. Forty percent of cases involved a defendant who had an intellectual disability, brain damage, or severe mental illness. Bad lawyering was a persistent problem across all of the counties. Ten of the 16 counties had at least one person released from death row since 1976. 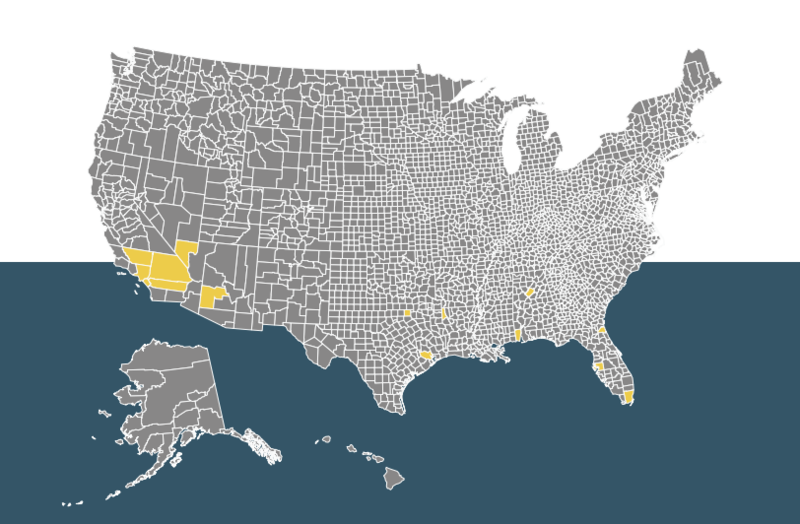 These 10 counties account for more than 10 percent of all death row exonerations nationwide. Out of all of the death sentences obtained in these counties between 2010 and 2015, 46 percent were given to African-American defendants, and 73 percent were given to people of color. In 14 of the 16 counties, not a single white person received a death sentence for killing a Black person. In contrast, in 14 out of 16 counties, at least one Black person was sentenced to death for the killing of a white person. Five of the 16 “outlier counties” are from Florida and Alabama, the only two states that currently allow non-unanimous jury verdicts. Just eight out of 71 cases we reviewed from these five counties had a unanimous jury verdict; 89 percent were non-unanimous.